We wish to partner with local businesses to help us provide accessibility for all families via sponsored memberships. In return for this support we would provide promotional opportunities via our newsletter and online channels. We have regular contact with Bayside Maternal Child Nurses (MCN) and social workers. They have relationships with families in our community, who would benefit from these memberships. The memberships would be provided on a first come, first serve basis following advice from either the MCN or social worker. Please Contact us for more details. 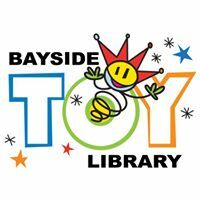 Bayside Toy Library is happy to receive monetary or material donations. You could specify the Terms and Conditions for the donation. Should you feel like making a donation now, please Contact us now. Recently the library has undergone a major refurbishment. This was only possible to the generosity of local businesses donations. For instance, the carpet and the paint were all donated by international businesses that are based in Melbourne. The vacuum cleaner was donated by a local business. Expertise can be donated too. For example, the coordination of the paintwork for the library's renovation was donated by a local decorator and most of the photography within the website was donated by a local photographer (see his details in the News & events section. During our major events some professionals donate their time and expertise to support the library. We make sure that all these local businesses have the right promotion in exchange. In 2018, we are launching the initiative Local Love. We are inviting any childcare centre, playgroup, kindergarten, crèche, schools, education centres to form part of our community and our network. The library and you can benefit from each other. Please, Contact us to learn more about it. Bayside Toy Library relies on grants to run smoothly. The library applies for different types of grants throughout the year. Should you be a grant provider, please Contact us to invite us to apply.